The middle picture is Dedicated to my Dad, Major John Dudley (Jack). The only ride he was able to do with the Club after his knee problem's. 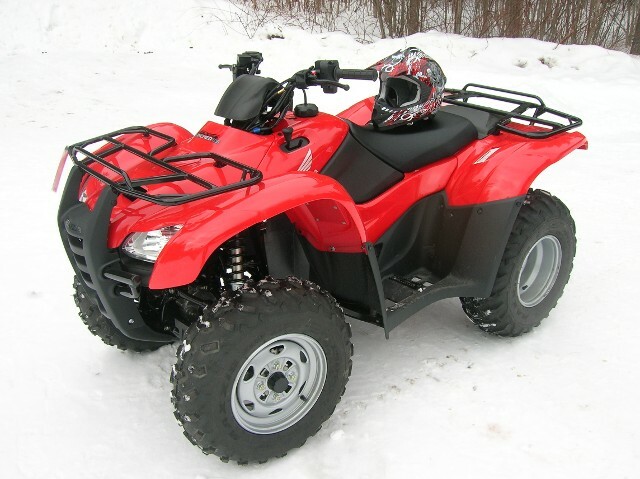 June 1, 2013 is a free day for ATV's and fishing. You do not need a license that day for either. 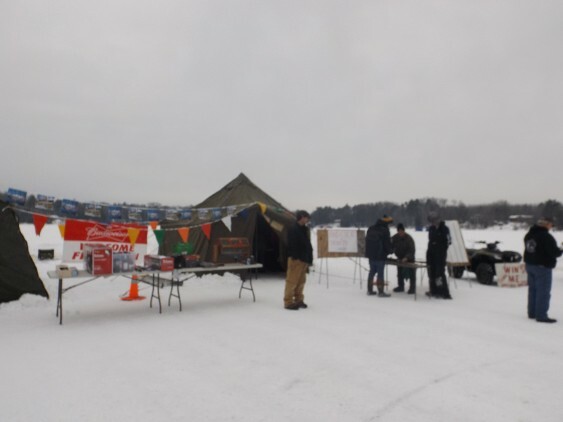 Our 11th Annual Ice Fishing contest is set for January 19th 2019 on Upper Clam Lake, Clam Lake WI 54517 from 8:00 am to 3:00 pm. 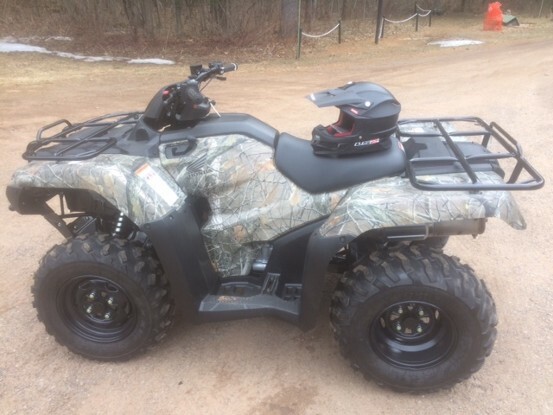 Tickets for the ATV raffle and cash drawings are $10 each and will be available on the lake and are available at local businesses. 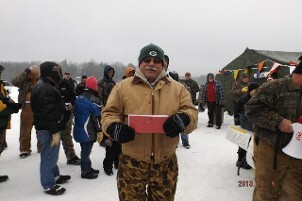 There will be many door prizes and other raffles available on the lake. 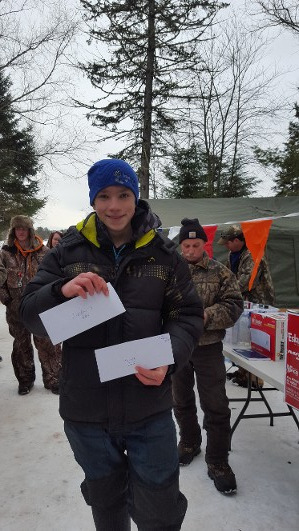 There is a $5 entry fee with a 100% payback on the adult division and the kids division. 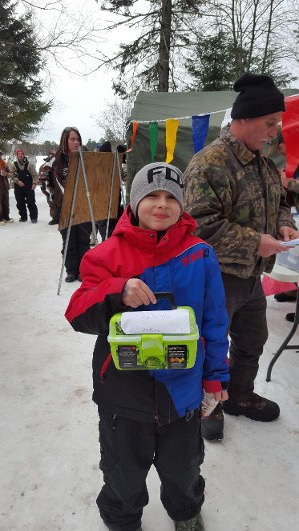 We encourage all adults to bring your kids out and teach them how to fish so they will have many years of enjoying such a fun sport. 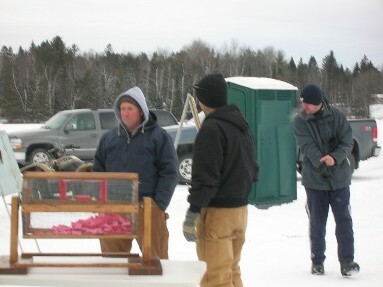 There will be food and beverages available on the lake to purchase also. Come on out and help support the club, get a little exercise and enjoy the fun! 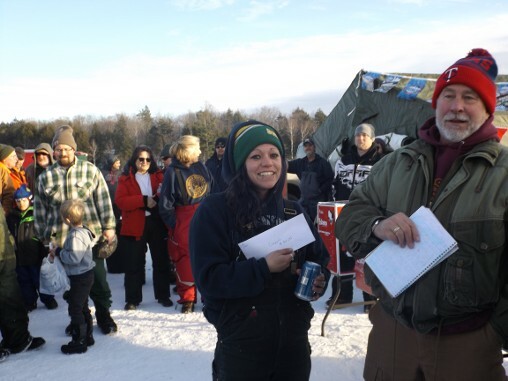 Our 10th Annual Ice Fishing Contest is set for January 20th, 2018 on upper Clam Lake, Clam Lake, WI from 8:00 am to 3:00 pm tickets for the ATV Raffle and cash are $10 each and are available at many establishments and will be available on the lake. 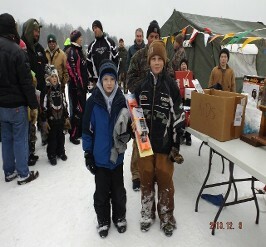 We also will have many door prizes and other raffle prizes to win. 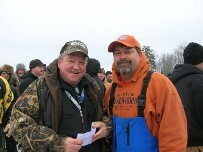 We have five different fish categories and 100% payback. 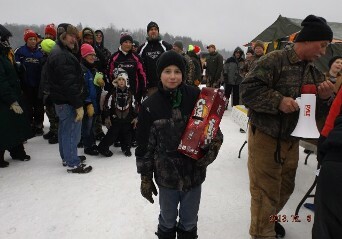 We also have a kids division where every kid wins something. 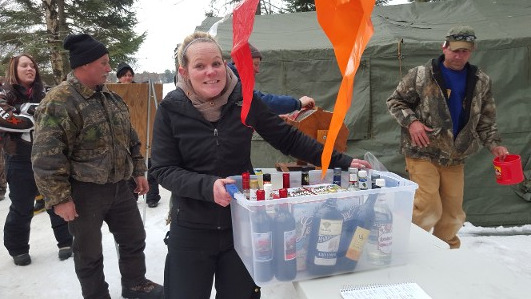 There will be food & beverages available on the lake in the food tent. 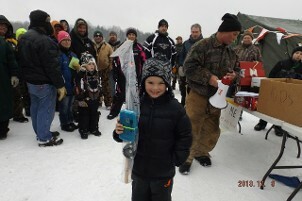 Come on out and support the club and enjoy a day of fishing and having fun!! 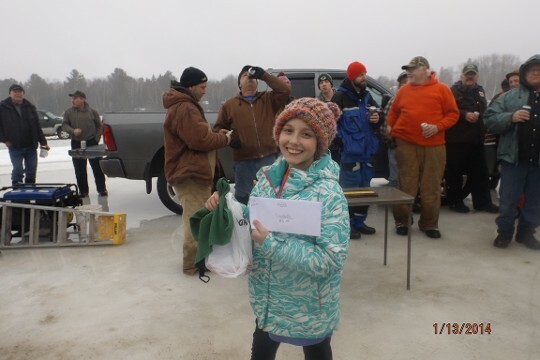 Our 9th Annual Ice Fishing contest held on January 21, 2017 was another success! 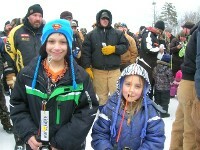 We had 138 Adult entries and 7 kids. 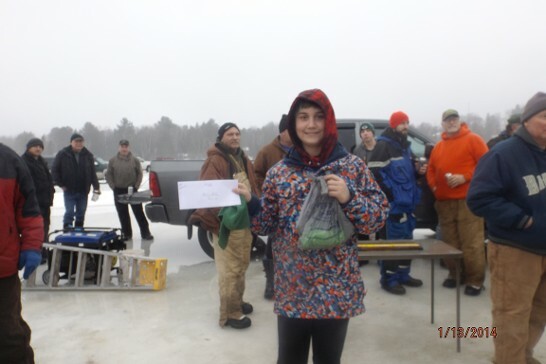 It was a very wet dreary day but good fishing and a lot of prizes won. 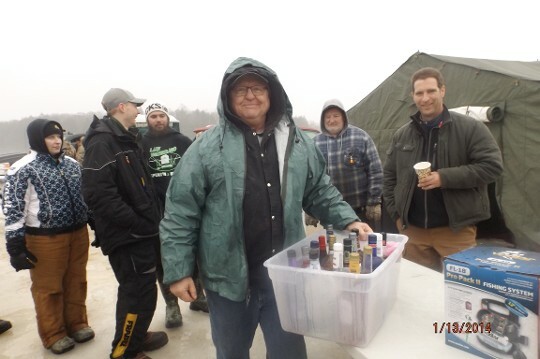 Curt Anderson $200.00- Betty Bahe $100.00 - Gary Eder, Booze tub - Rob Abig, Vexilar - Vern Forde, Eskimo Ice Auger - Derek Bay, 1 Day rental at Power Sports - Kyllie Luedke, Marcum underwater camera - Steve Landis, 2 man Ice shack & $25 certificate to Rasmussens - Mike Protokoviz, 1 nite stay at LCO Casino & LP Fill from Como - Matt Hewitt, $129.00 certificate - Ray Segel, $100.00 certificate from Runamuk - Charlie Best, Wheel alignment from Fischers Auto repair - Scott Miller, Battery charger from car quest & $25 certificate from Rasmussens - Ken Koosmann, $50 Walmart gift card and many more winners, to many to list. Perch: 1st. Al Guthman 8 3/4" 2. Flash 8 1/2"
Northern: 1st. Steve Eder 31 1/2" 2. 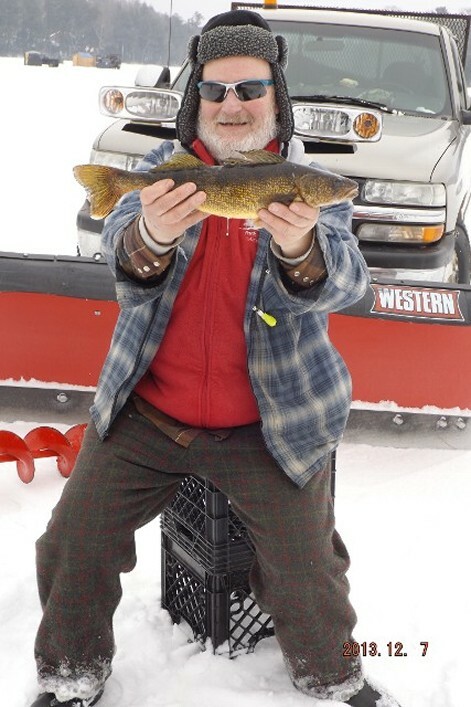 Ron Vecchie 29 1/2"
Walleye: 1st. 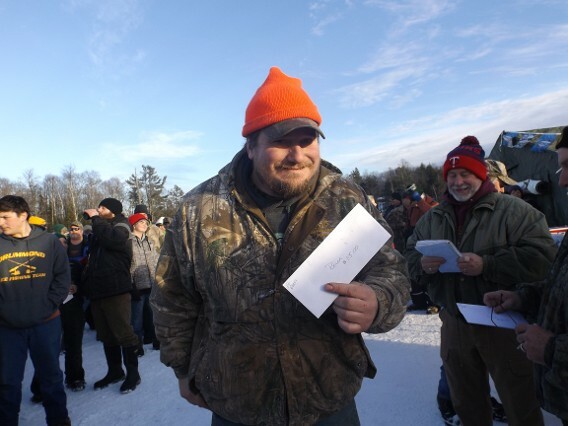 Mike Schnaltz 22" 2. 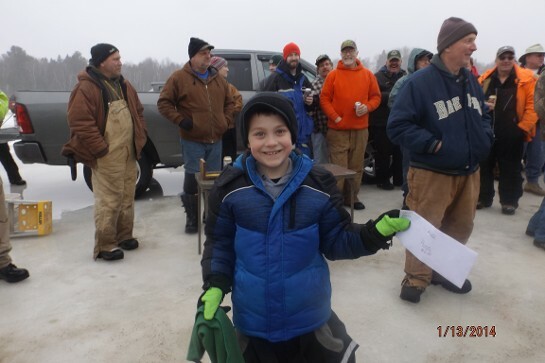 Mitchel Pankratz 20 1/2"
Crappie: Kenzie Zach 9" Blue Gill: Aiden McFadden 6 1/4"
Perch: Daynen Zach 8" Northern: Bailey Snow 23 1/2"
and no walleye was caught in the kids division. 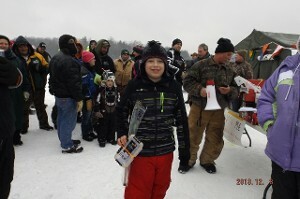 Vexilar... Calvin Wiener, Eskimo Ice Auger... Tim Crom, Quick Fish 3 Ice shack... Kathy Guthman, One night stay for 2 at LCO Casino.. Judy Johnson and Kathy Guthman, $100 certificate from Runamuk Rides... Judy Johnson, Wheel Alignment from Fischers Auto Repair...Ron Vecchie, Northwoods Chiropractic pillow... Ron Vecchie, Bucket of Booze... Symantha Wold. 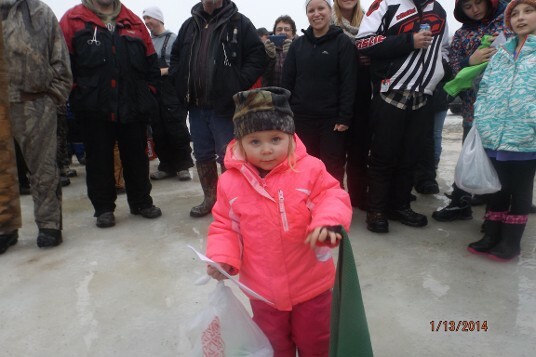 No Walleye was caught so that money will carry over for next year. 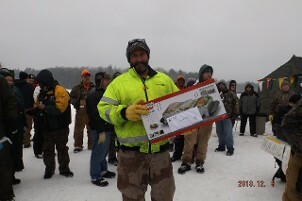 Northern:1st Place.. Hayden Neibauer 30" 2nd Place..Casey Dicus 29 7/8"
Crappie: 1st Place.. Jeff Henri 10 1/2" 2nd Place..Dan Lang 9 1/4"
Blue Gill: 1st Place..Ben Hartwig 6 7/8" 2nd Place.. Ken Landis 6"
Perch: 1st Place.. Jeff Henri 10" 2nd Place.. Hayden Neibauer 7 1/2"
Crappie: Preston Blaucheck... 8 1/2"
Perch: Ryan Henry....... 7 3/4"
Blue Gill: Ryan Henry... 7 1/4"
This is the 2014 Honda TRX 420 Rancher that will be raffled off at our 8th Annual Ice Fishing contest on January 16th, 2016. Because of the lack of Ice, we have changed the date to January 30th. 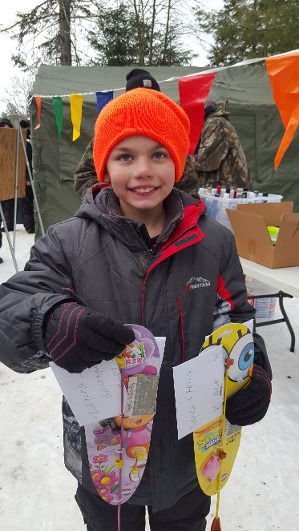 We have been picking up a lot of Door prizes again this year. 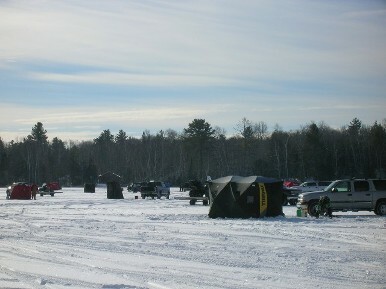 Lets hope we get some cold weather for that Ice. 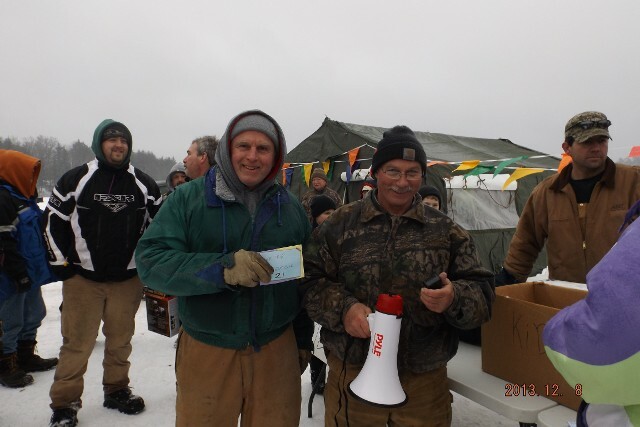 Winners from our January 17th, 2015 Annual Ice fishing contest!! 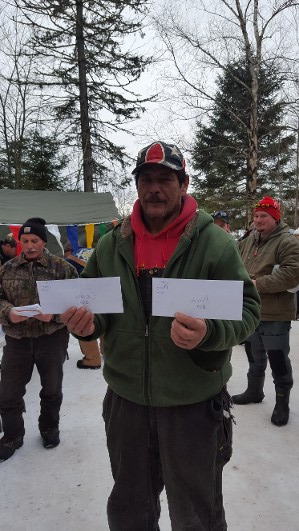 Scott Kaehleni was the big winner of the ATV, Kathy Fanella- $200 Bret Ludescher- $100, Todd Evenson- Vexilar, Steve Peter- Ice Auger, Kyle Eroeniman- Three man Ice shack, Ghandi- Fish Locator, Todd Staves- Ice Shack, Greg Jager- Wheel allignment and Duck picture, Al Guthman- $100 off guide service or $50 off mount and battery charger. 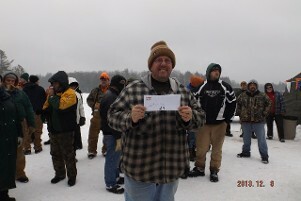 Lots of other winners with certificates, LP Tank refills, Booze buckets etc. To many to list. 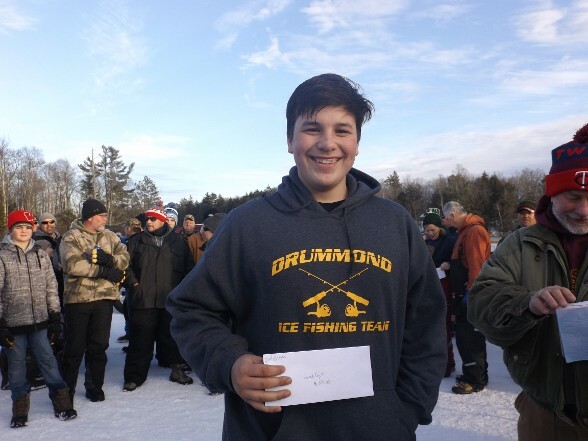 Our 7th Annual Ice fishing contest is set for January 17th, 2015 on Upper Clam Lake, starting at 8:00 am until 3:00 pm. Prizes will be drawn after 3:00. 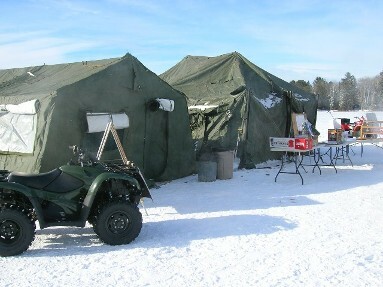 Food and Beverages will be available on the lake. 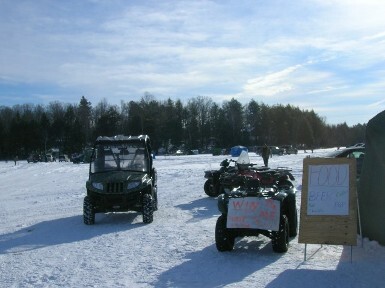 ATV Raffle, $10 a ticket and only 1,000 will be sold plus many many more raffle prizes to win. Please set the date and come on out and help support the club. 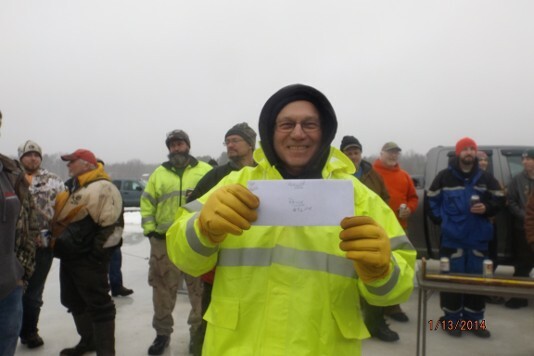 Our 6th Annual Ice Fishing contest has been set for 01/18/2014 on Upper Clam Lake Starting at 8:00 am until 3:00 pm. 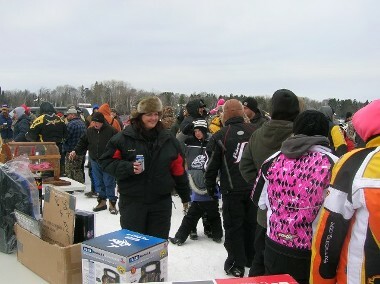 Food and Beverages will be available on the Lake. Set the Date and we will have more information to come in the near future. 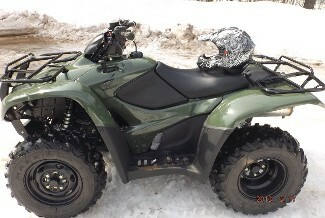 Below is the ATV that will be raffled off this year. 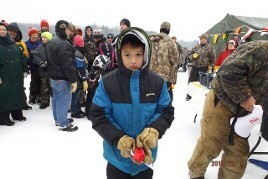 Raffle tickets are $10.00 a piece and can be bought at local Business's. We will only be selling 1000 tickets so Hurry and get your's before they are all sold out! Helmet included. 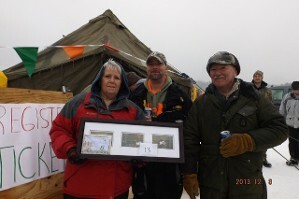 Pictures from the 2013 Contest.